Gholam Khiabany is an editor of the Middle East Journal of Culture and Communication, and is a member of council of management of the Institute of Race Relations. He edits the liberalism, gender and race strand of the Liberalism in Neoliberal Times series on openDemocracy. 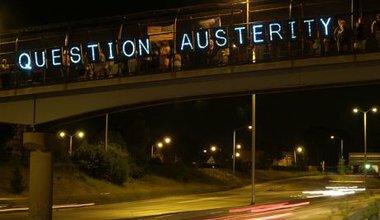 Today we launch a new series, the latest collaboration between Goldsmiths and openDemocracyUK, exploring the role of media in both supporting austerity and empowering its opponents. 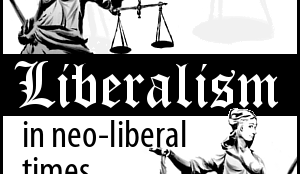 We started the series with the proposition that liberalism is far too important to be left to the ‘liberals'. 38 articles later, what did we find? Today we launch a new series, curated by Goldsmiths in partnership with OurKingdom, on liberalism in neoliberal times. Liberalism was undoubtedly conceived as an emancipatory project, one which duly recognized the value and dignity of the individual. However, from its very inception, this model of social interaction has been fraught by terrible contradictions. In our neoliberal times, its legacy should be critically assessed more than ever.